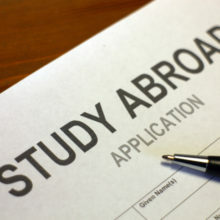 For a long time, I had assumed that the concept of “study abroad” had really only gotten underway after World War II, with the start of the Fulbright program here in the U.S. and with many cultural exchange programs for high school and college-age students starting to take shape. And to some extent, that’s true; the Fulbright program began in 1946 and many of today’s international educational exchange organizations began to take shape in the 1950s. But there’s a deeper and more extensive history that some readers might be interested in learning more about. A good summary I came across recently, at least from the perspective of U.S students going abroad to study, can be found in Megan Lee’s The Complete History of Study Abroad, originally published in 2012 online at GoOverseas.com and recently updated. The article also has some good additional resource links.